It’s the middle of winter and the snow is coming down hard. Your car that’s parked outside is probably frozen over, and you’re dreading the idea of getting into it. You think to yourself, “If only there was a way to heat my car up before I get in it.” Well, you’re just in luck! Remote car starters do just that! They allow you to remotely start your car so that your heater can start warming it before you get in. How Do Remote Start Systems Work? 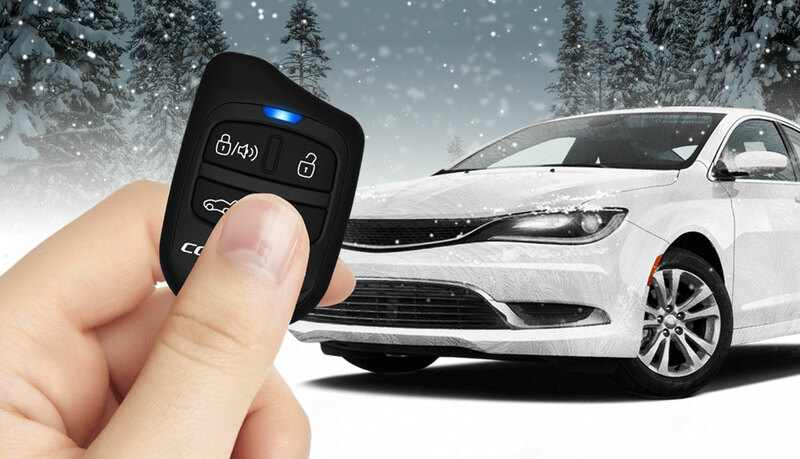 Remote start systems consist of 2 key parts: a control module/radio receiver and a remote transmitter. The control module is installed into your vehicle, which allows you to remotely start your vehicle with the push of a button on the remote transmitter. Remote starters are most popular in colder climates, where they are used to warm up a car’s engine and activate its heater/defroster. This is especially convenient during winter months when its snowing and temperatures are subfreezing. However, they can also be used to turn on the a/c in extremely hot climates. Many new vehicles today have the option of including a factory remote start system, but they are very limited in terms of their range and capabilities. Typically, a factory remote starter has around 30-feet of range, which requires you to be fairly close to your vehicle to start it. After-market remote start systems, on the other hand, not only offer superior range, but a large array of other features as well. For example, Compustar offers remote start systems that are capable of 800-ft to 3-miles of range, and have the option of upgrading to a 2-way remote. 2-Way remotes allow you to send commands to your vehicle and receive confirmation that they were activated. A few Compustar remotes also feature water-resistant technology, interactive LCD screens and the ability to charge them via USB. Another advantage of after-market remote start systems, particularly Compustar, is that you also have the option of adding/upgrading it to include an advanced security system. Compustar security systems equip your vehicle with additional sensors to detect impact, intrusions and theft, and when paired with a 2-Way LCD remote, notify you when those sensors are triggered. 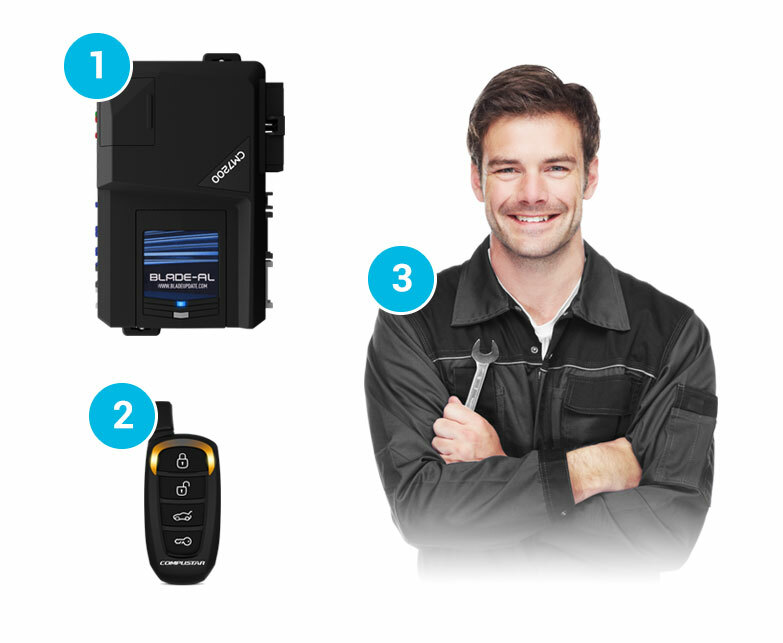 To see the full potential of a Compustar system check out the PRO T11 Remote Start + Security System. It’s without question that Compustar remote start systems are the best option for remote starting your vehicle! What Do I Need For A Remote Start System? The most important component, and is often overlooked, is the professional installer. Installers can not only assist you in finding the perfect remote start control module and remote transmitter combo for your needs, but they can guarantee a safe and professional install. It is extremely important to get a remote start system professionally installed because making a mistake during installation could potentially cost you more money and headache. To find a local dealer near you, use Compustar’s Dealer Locator.